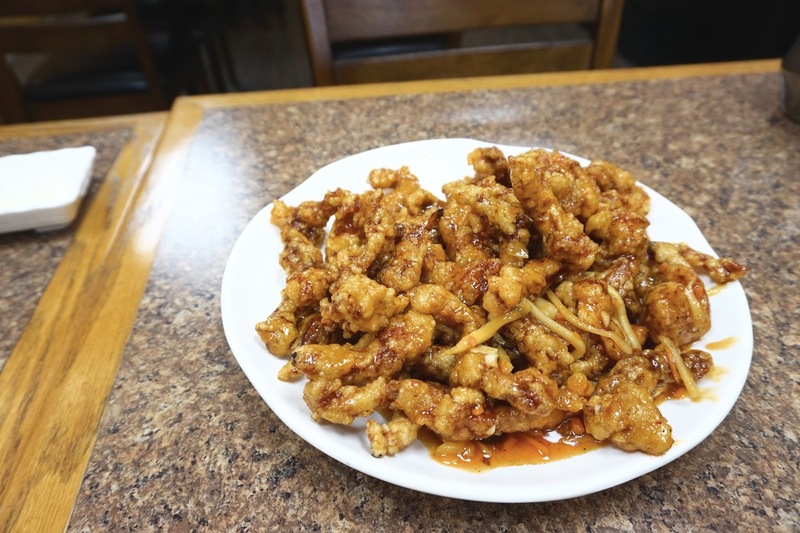 I've been obsessed with Korean Chinese food, as of late. 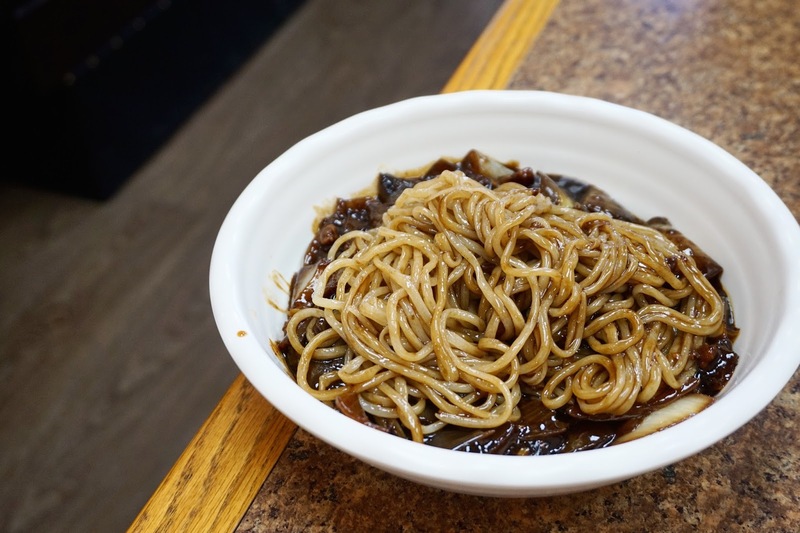 Namely jajangmyeon and tansuyuk. Squishy black bean noodles and deep fried pork...what a combo!! 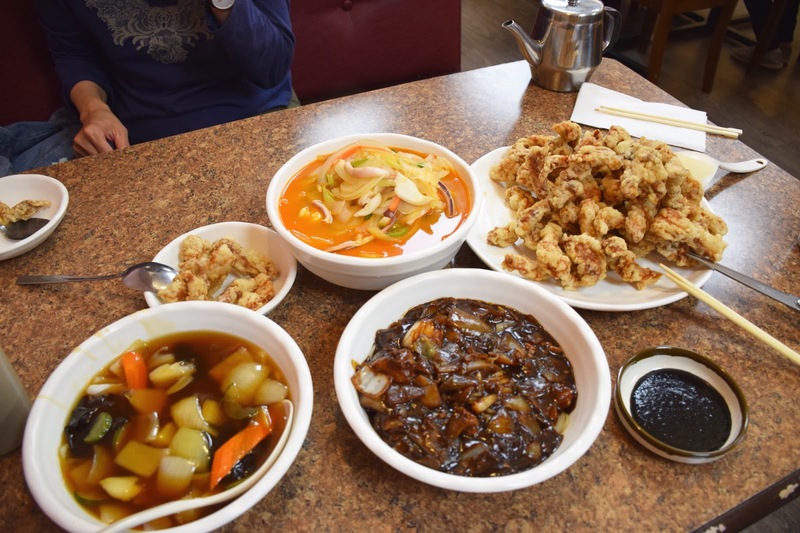 There are quite a few Korean Chinese restaurants in the vicinity, but Hee Rae Deung is one of the more popular ones!! They're famous for their humongous, family sized portions. I almost fell over when the waitress brought over my tansuyuk...it was shockingly HUGE. Not that I'm complaining, who in their right mind would turn down a mountain of deep fried pork? 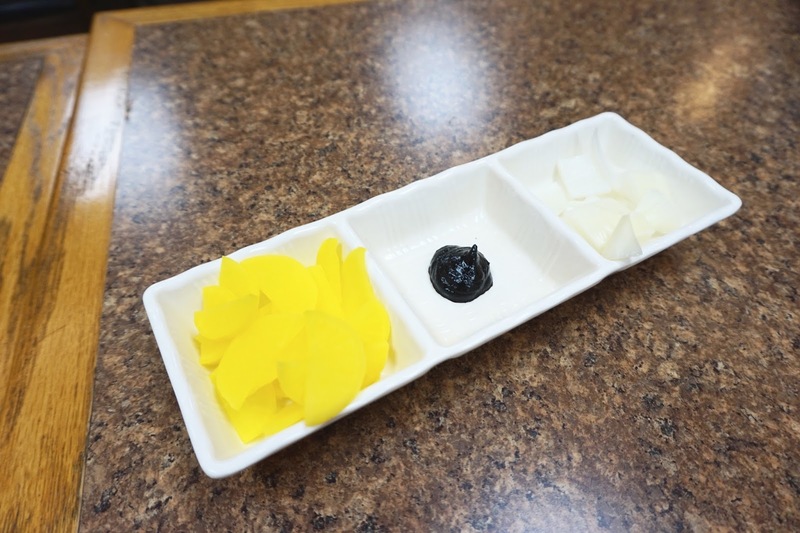 Instead of banchan, they serve pickled radish, and raw onions!! 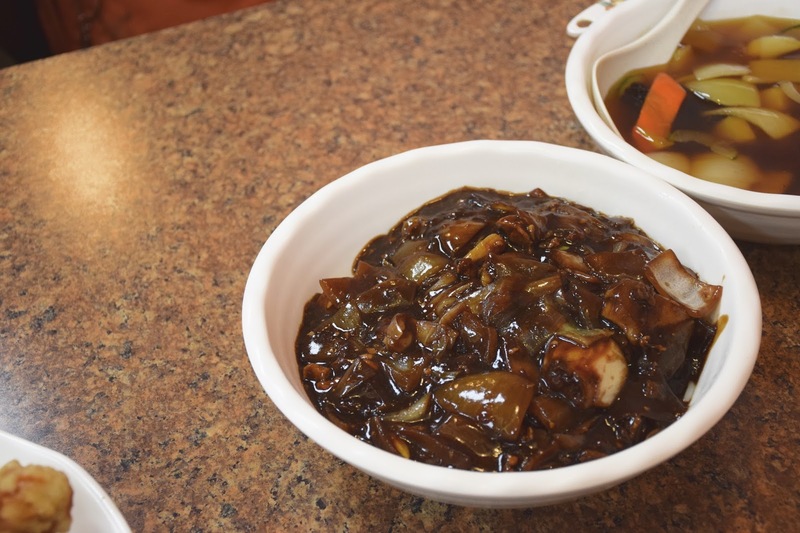 You're supposed to dip the raw onion into the black bean paste, to lessen the sting! The jajangmyeon here is one of the mildest I've had! The black bean flavour is really subtle. It makes sense though. Since the other dishes are pretty heavy, the jajangmyeon balanced everything out! I liked the fact that they loaded up on the onions, I love onions!! The noodles were soft and squishy! The sauce is super rich! The picture doesn't do the size justice!! It was huge. This is probably my favourite thing to order here. This is definitely sweeter than most of the Cantonese versions I've tried. The pieces of pork are larger too, much larger. The meat isn't heavily battered and I like how you have control of how much sauce you want on each piece. I love how the sauce comes on the side, so the pork doesn't get soggy!! The amount of veggies was also appreciated. The sauce is definitely tangier than most versions I've tried!! They totally delivered on the spiciness!! 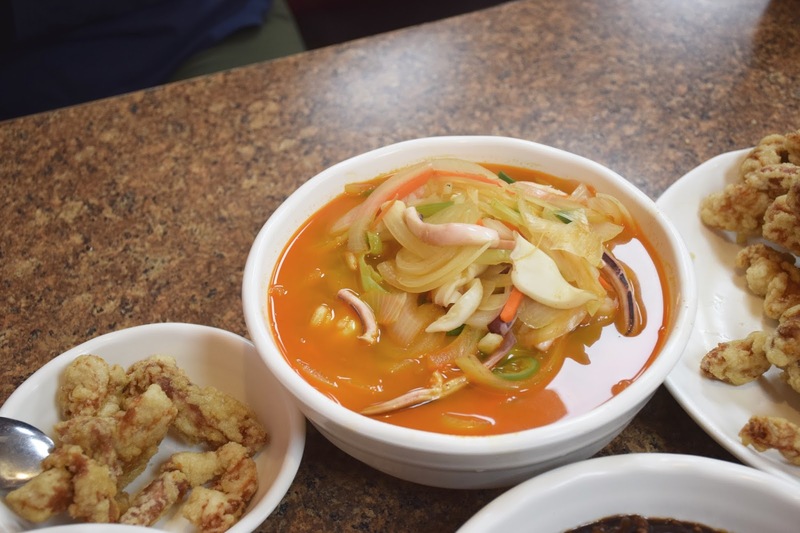 This was much spicier than we were expecting, and we were impressed with the amount of seafood in there!! There was a ton of shrimp and squid in it!! Definitely got our money's worth! The noodles were nice and al dente too! 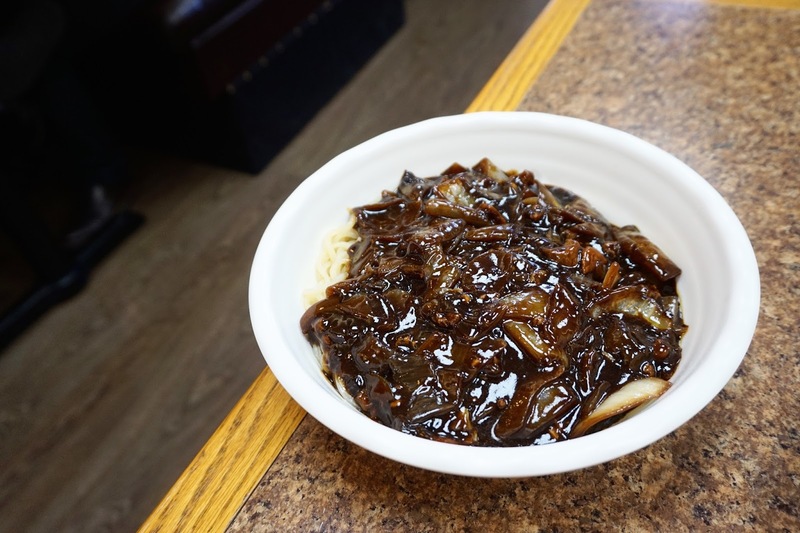 The jajangmyeon from our second visit!! 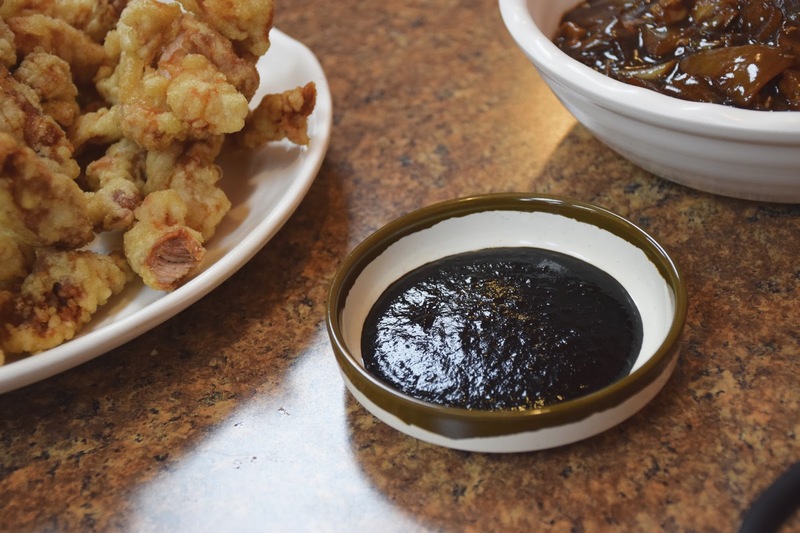 We asked for more black bean sauce; I was expecting a dollop but she gave us a dish instead! Impressed! Always packed, even on weekdays! The combos are a great deal, it saves you a ton of money! 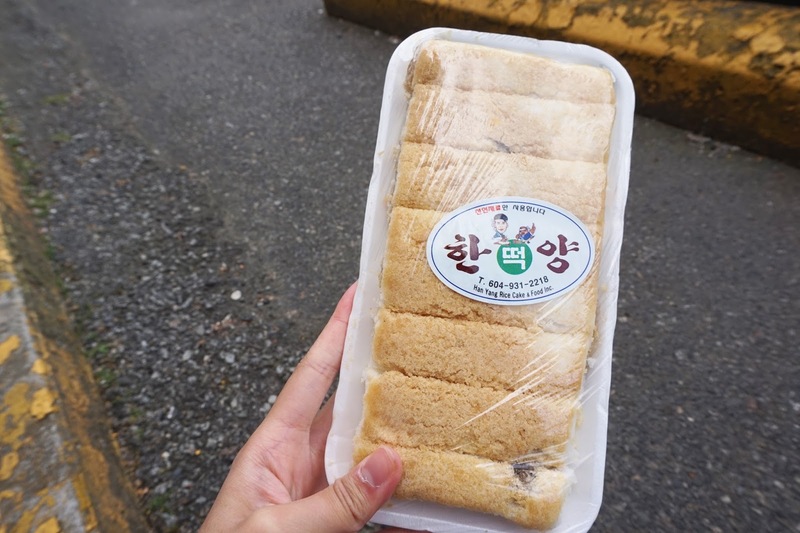 I ate some of the ricecakes I bought at Hannam Market for dessert!! They were kind of dried out (probably because I bought them the day before.) Lesson learned, eat 'em while they're fresh! Mmmm, everything looks delish ! Did you guys order the combos ? 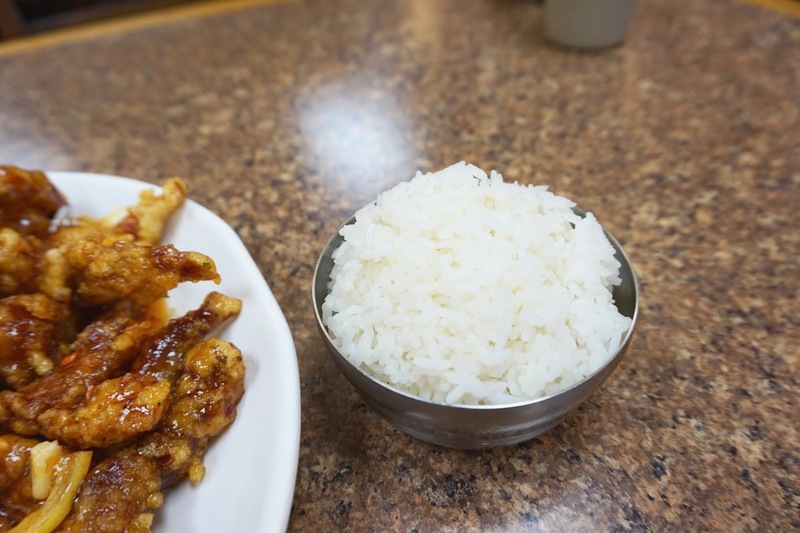 We shy from K meals often because we feel the value isn't there compared to other cuisines. 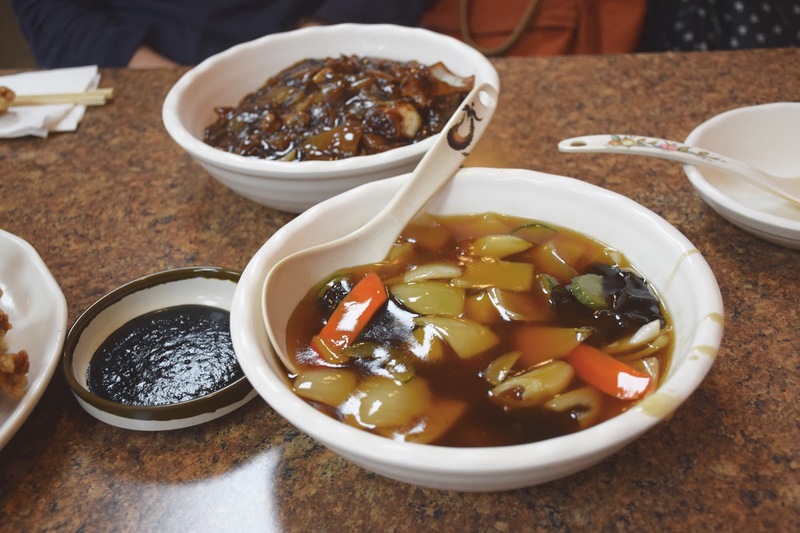 I ordered the kanpoogi, jajangmyeon and rice separately on my first visit! The second time I brought my mom and we shared Combo A! 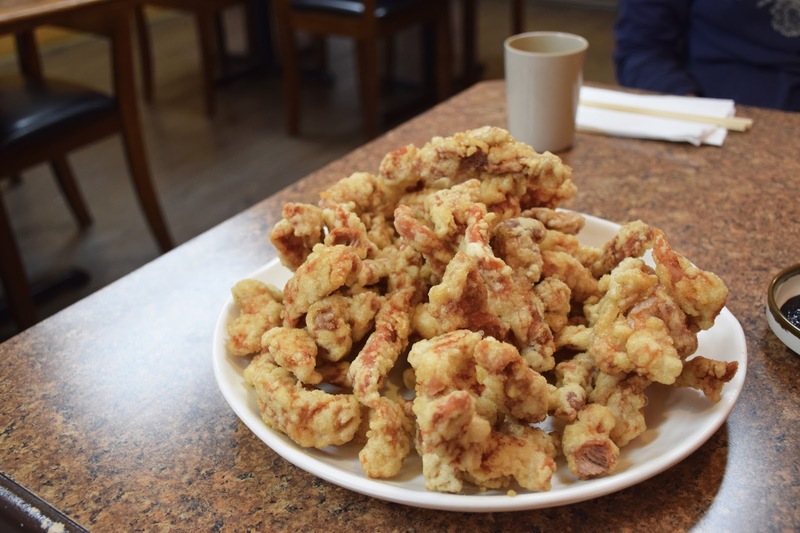 @ Raymond, IME/IMHO, only upscale Japanese and Chinese can rival European cuisines in terms of high $/person in terms of costs (using Vancouver as sole example). Korean cuisine doesn't, and can't, reach high end dining in the same manner as Chinese and Japanese. Same goes for a few other Asian cuisines (ie: Vietnamese/Cambodian/Burmese) but Thai comes close. 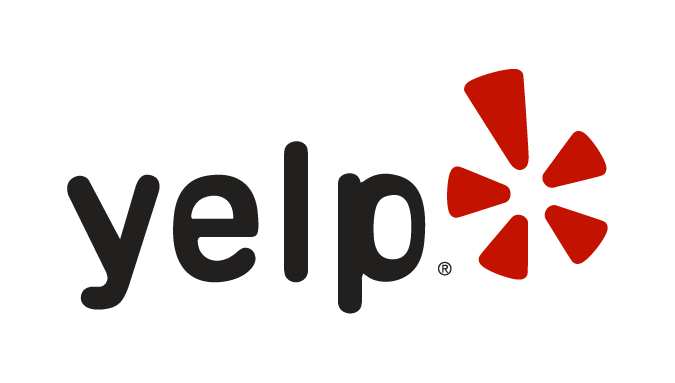 There isn't a single factor that determines the respective cuisines' abilities to achieve the levels they are at on the "food chain" in terms of perception, pricing, sophistication, exoticness, etc., but rather a collective set of factors. 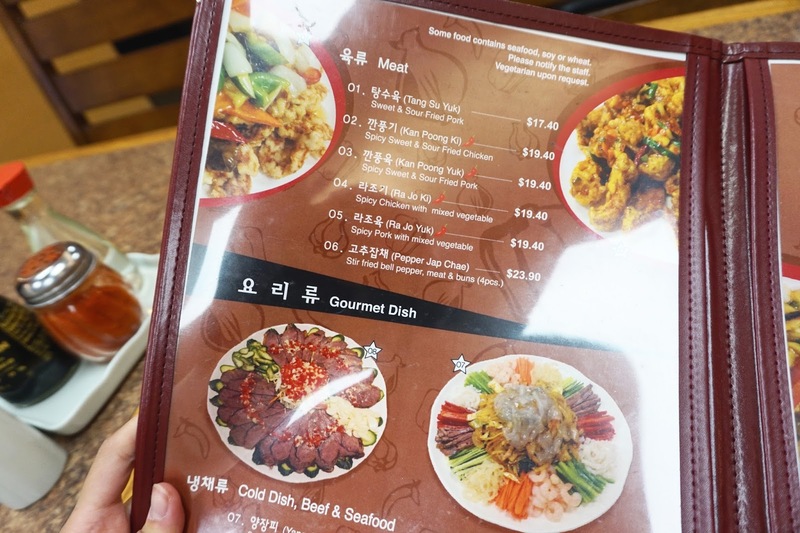 Where do you guys go for Korean that's around $15pp ? Enquiring minds want to know ! looks super yummy!! are the combos available during dinner time? hehe it was delish!! I think they are, but I'm not sure!! I hope they are haha! 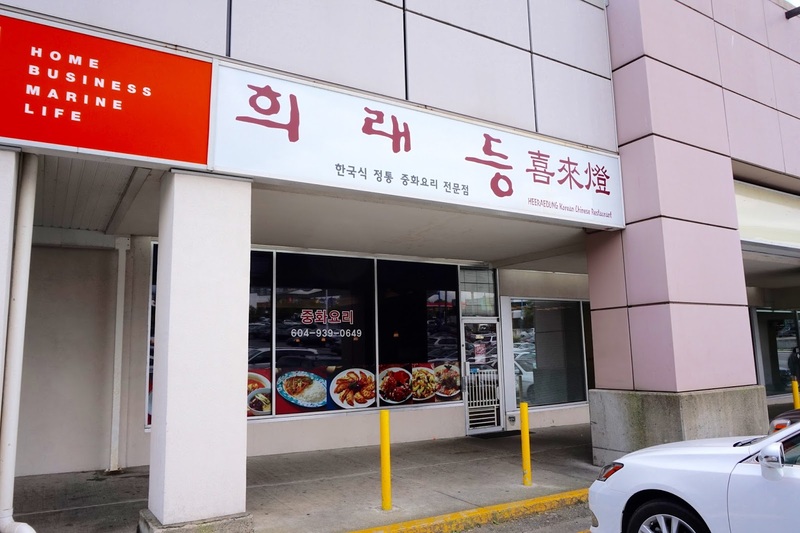 Dinesty Burnaby - Visit #2! 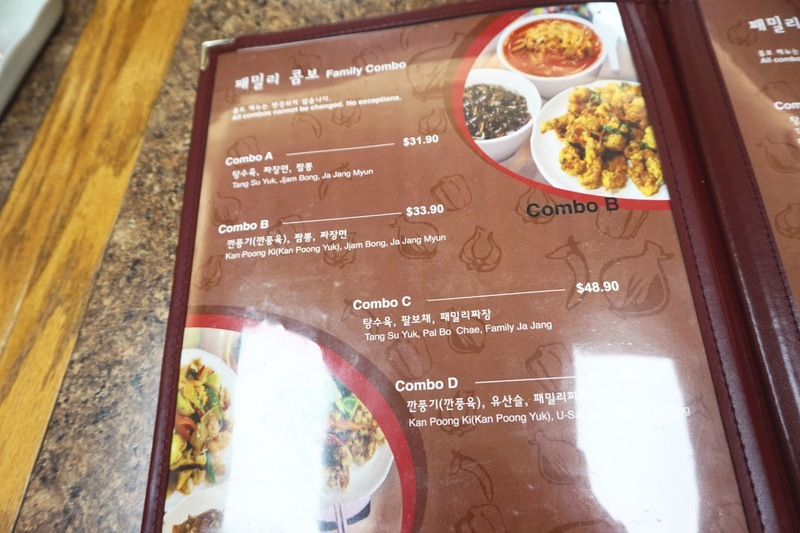 Bbong Korean Restaurant - New! 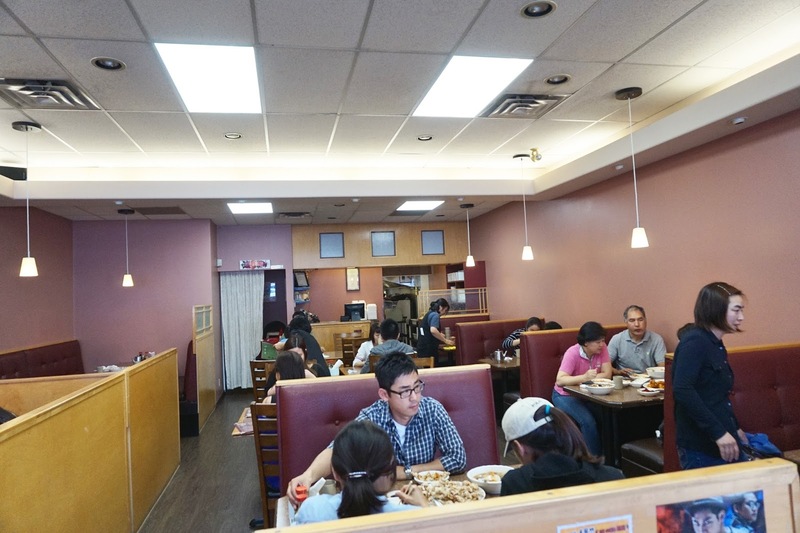 The One Taiwanese Restaurant - 3rd Visit! Guildford Sushi House - Samurai Sushi Clone?